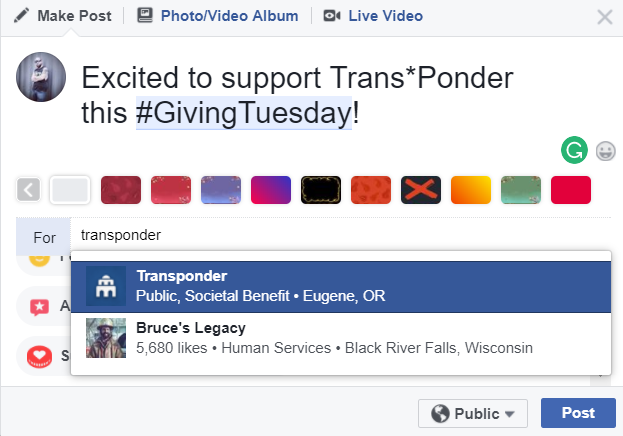 Support Trans*Ponder without ever having to leave Facebook on #GivingTuesday this year. It’s now easier than ever to lend your support. On Giving Tuesday (November 27, 2018), Facebook in partnership with PayPal will be matching all donations made through Facebook up to $7 million. Facebook is also waiving their fees so that the full donation amount goes to your selected charity. Donation matching starts at 5 a.m. PST and lasts all day. Step 1: Create your Facebook Post. Write a short message about why you’re choosing to support Trans*Ponder and what our work means to you. 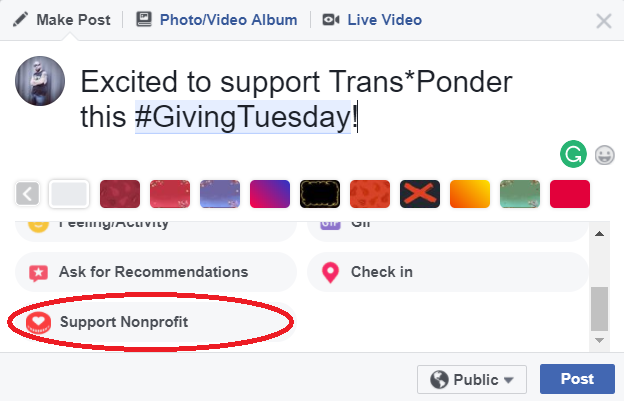 Step 2: Select “Support Nonprofit” from the menu below your post. You may have to scroll down to see this option. Step 3: Start typing “TransPonder” into the text box. It should appear in the dropdown. Click on the name in the menu below to select it. Step 4: Post your status like you normally would! Now it will appear on your timeline with a button that allows your friends to donate. 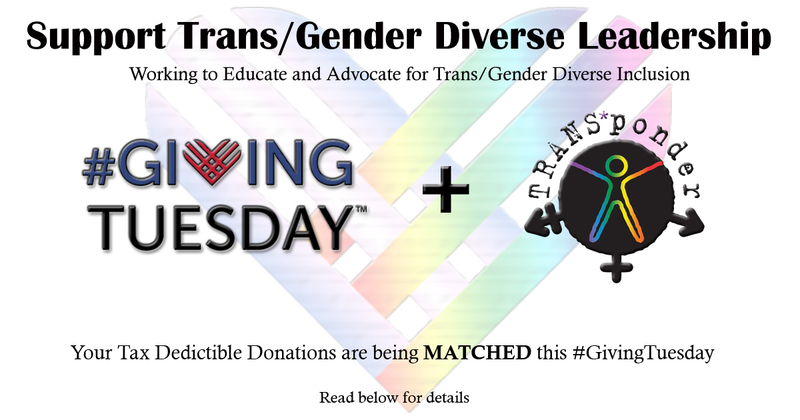 Step 5: Use the donate button to make your contribution to Trans*Ponder. That’s all there is to it — we hope you’ll join us this Giving Tuesday! Make a recurring monthly donation in the amount of your choice (minimum $1 please).